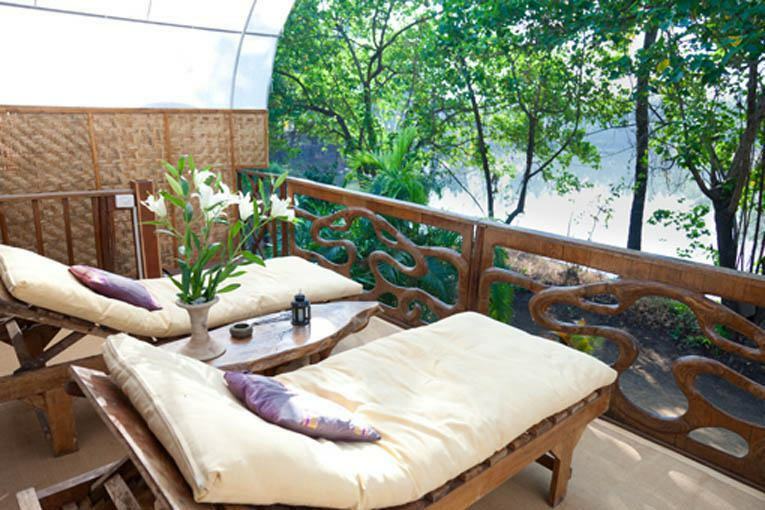 The Nomadic Villas are two-story accommodations for couples up to four people. 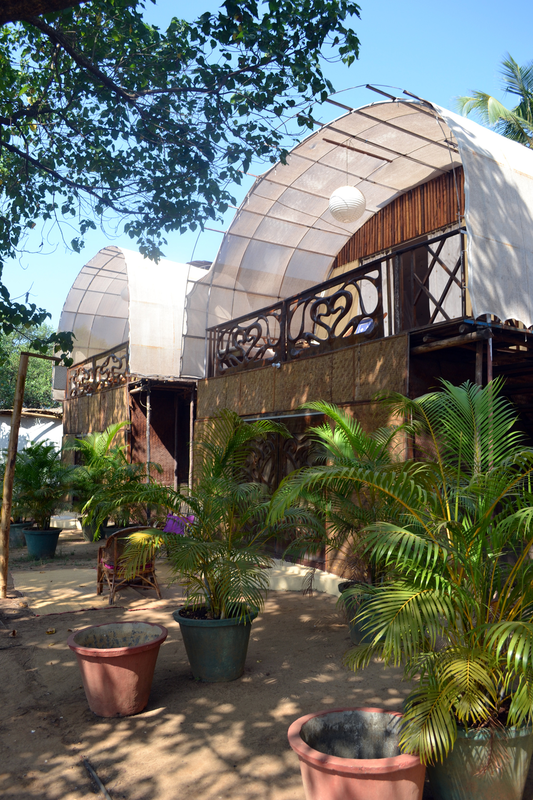 They are a spacious and unique alternative to traditional hotel accommodations are are some of the more interesting accommodations found in Goa. 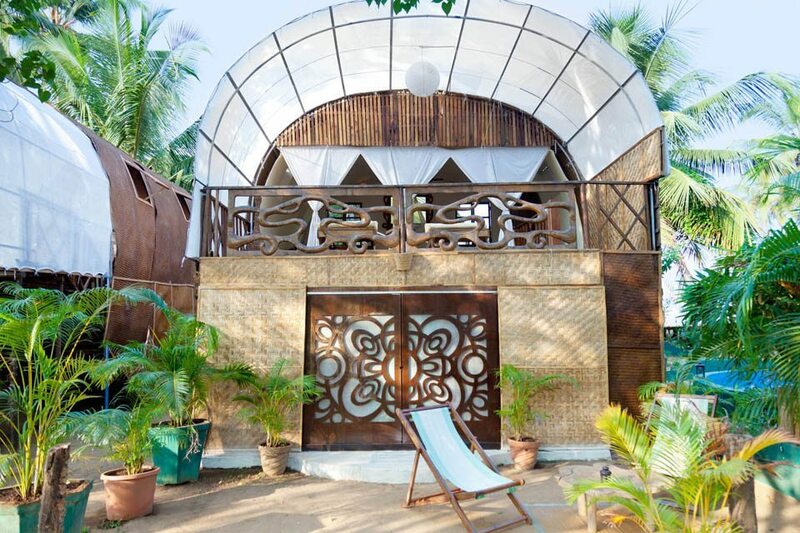 The Nomadic villas are perfect for a couple - a romantic getaway, traveling companions, or two friends exploring all that Goa has to offer. These highly original, open-plan rooms are breezy, light and spacious. They have been crafted from natural woven bamboo and wood and have been carved by a talented team of artists with the concept of creating a space which compliments its surroundings, without sacrificing any of the comforts. Their architecture is based on the ancient Keralan houseboats from the backwaters of Cochin in South India. The unique feature of this design is the ventilation at the top of the arched dome roof which is shaped in such a way that the flow of air upon entering the room is pushed down and cooled. This makes for an ingenious form of tribal air conditioning. There are flap- style windows at the sides and an open front which also allows the breeze to circulate throughout the room. The bathroom is a spacious en-suite with modern fittings.The rooms are atmospherically lit and are furnished with writing tables and chairs, hand crafted cupboards, coffee table and sun loungers. There is a lockable safety cabinet and plenty of space to hang clothes on a bamboo rack. The spacious balcony is a great position for observing the stars and the surrounding wildlife of the tidal lagoon which acts as a natural cinema, with over 40 species of birds having been sighted in the area. Downstairs, sliding doors open onto a lake front sitting area, ideal for sunbathing and general relaxation. Extra beds can be arranged as desired to suit a couple, a family or friends.